The Fat Spruce kit features luxurious 100% Spruce shells, which is rarely used as a material on complete drum sets. Its unique sound is fat and resonant with solid mids and a natural pure tone. Furthermore, by utilizing die-cast hoops, it provides a very clear, focused attack. It also has a very wide tuning range, making it suitable for a number of music styles. The drums sound great tuned up high for jazz, but also perform well at low to medium tension, optimal for R&B, Blues, Indie Rock and Ballads. Remaining balance in 3 installments of $487 to be paid every month. 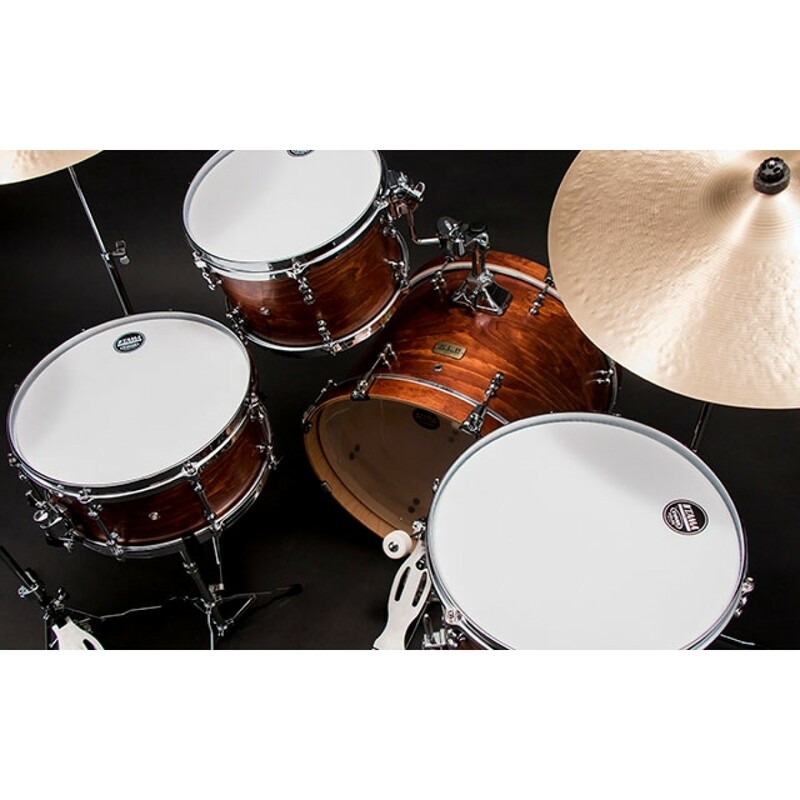 The Fat Spruce kit features luxurious 100% Spruce shells, which is rarely used as a material on complete drum sets. Its unique sound is fat and resonant with solid mids and a natural pure tone. Furthermore, by utilizing die-cast hoops, it provides a very clear, focused attack. It also has a very wide tuning range, making it suitable for a number of music styles. The drums sound great tuned up high for jazz, but also perform well at low to medium tension, optimal for R&B, Blues, Indie Rock and Ballads. Hoops not only affect drum tuning; they also affect drum sound. 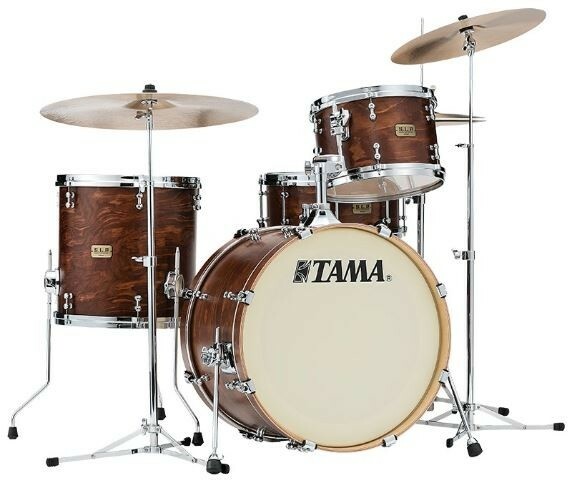 That's why the choice of hoops was so important to the designers of TAMA's professional drum lines. For our S.L.P. drum kit Fat Spruce, we choose zinc die-cast hoops, which are manufactured by injecting molten metal into molds. Die-cast hoops have more density and are more consistent in shape than triple flanged hoops, which are manufactured by bending metal plates. Die-cast hoops make tuning more consistent and easier to achieve because the tension bolts always contact the hoop properly. 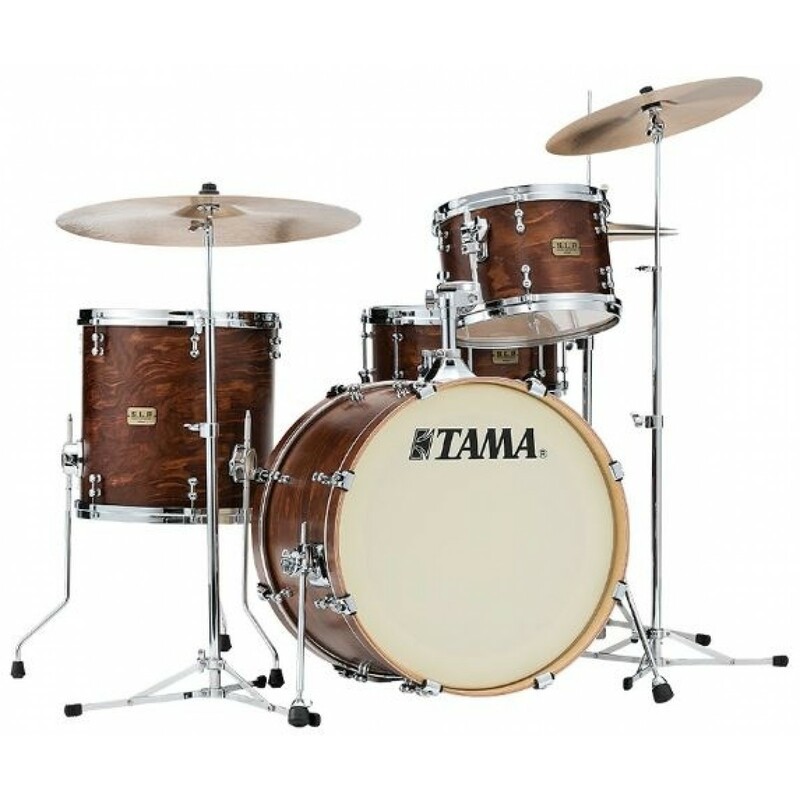 Drums fitted with die-cast hoops also offer crisper attack, clear and resonant highs and much more powerful rim shots. This Direct-Flexi Mount utilizes a two-piece structure – a plate that is mounted to the shell, and another piece that receives the L-rod of a tom holder/stand. These two parts are hinged together using a steel shaft, allowing some slight horizontal play when striking the drum. This controls the vibration of the shell while still allowing it to resonate more freely than traditional direct-to-shell mounts. This in turn provides sustain and smooth decay for a smooth, transparent sound that draws out the intrinsic characteristics of the shell material.